One of the most remarkable changes in the period from 1960 to 2010 has been the age at which deafness in children has been diagnosed. It has developed from the situation in 1960 when hardly any children were diagnosed before the age of two years to that in 2010 where most infants are screened for deafness shortly after birth and ideally diagnosed before six months of age. The distinction between diagnosis and screening is an important one, screening being a procedure designed to be used with all children to identify children who may have a hearing loss and diagnosis, a more elaborate procedure, designed to assess the degree and type of any hearing loss a child may have. There have been formal procedures for screening for hearing loss from the 1920s, the earliest tests utilising spoken numbers recorded on a phonograph which the children had to write down, the sound level gradually becoming less and less. However, such sounds were replaced in the 1940s through the use of pure tone audiometry. The distraction test was introduced in the 1940s, first described by Ewing and Ewing in 1944. It was designed to be used with children between the ages of 7 and 18 months. Seven months was chosen as the earliest time to screen as the child needed to be mature enough to sit unsupported. The child sits on the mother’s lap and one of the two testers gains the child’s attention by playing with interesting toys in front of them. After a short while play ceases and at that moment the other tester, out of view of the child, makes a sound. The child is observed to see if they turn to the noise. The various sounds to be used, suggested by the Ewings, were: an eight syllable sentence, a high frequency rattle, a Boo-oo-oo sound and a S-s-s-s sound. However it did not have high reliability as, unless it was carried out in accordance with very strict guidelines, a number of events could affect the result. It was possible that the child could be aware of the mother’s response to the sounds and respond to these, or the child might be aware of the second tester and turn to look at them. In addition it was difficult to calibrate the sounds reliably. It was easy to get false positive results and in some instances parents were told their child was not deaf when in fact they were. An EEC study focussing on children born in 1969, reported in 1979 and 1981 that only 10% of deaf children had their hearing loss detected in the first year of life and 50% of children were over three years of age before their deafness was confirmed. This study was based on children with a loss greater than 50dB in their better ear. The results for children in the UK were consistent with those from the wider EEC. Throughout the 1980s and 90s efforts were taken to make the procedure more reliable. Increasingly screening in the UK was being carried out by Health Visitors as part of their role with families with young children, who received training in the procedure. The baby should sit on the parent’s knee, facing forward, and the parent be instructed not to react in any way to the sound. Calibrated warblers should be used as they were able to be calibrated and also an effective sound to get the child’s attention. ‘No sound trials’ should be introduced to check for any tendency of the child to look around when the tester in front stops engaging their attention. The records of a Local Authority (Nottingham) following these recommendations suggested that while less than 20% of children were detected in their first year before the new procedure was introduced, over 70% were detected under the new regime (McCormick 1988). At the same time as the screening protocol was being revised, there was also a different initiative taking place. In 1980, Latham and Haggard carried out a study in Nottingham to explore the issue of the apparent failure of screening to identify the majority of infants with a hearing loss. This was partly in response to the finding that many parents of late ascertained children were complaining that they had had their suspicions for a long time but had difficulty convincing professionals. Latham and Haggard explored the nature of parent’s suspicions and, based on their findings, developed a check list that health visitors could give to parents. This suggested to them various pointers to children’s responses to sound they could look for during the child’s first year of life. Early evaluation of the check list was reassuring in its finding that it did not cause anxiety in parents whose children did not have a hearing loss, and lead to greater number of parents coming forward with concerns. However it was not thought to be adequate on its own, as it did not pick up losses that occurred only in particular frequencies, it could miss babies with lesser degrees of hearing loss, and not all parents were motivated or able to use the list. Such measures as those described above did lead to some improvements but even so not all children were being identified being early. 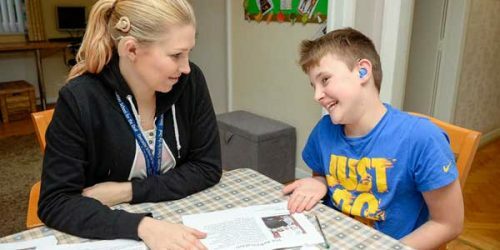 In 1997, a study showed that, of the 840 children born with a hearing loss every year in the UK, 400 children were not diagnosed by the age of 18months and, even by the age of 3 ½, years 200 had still not been identified. There developed pressure for more rigorous procedures for screening and also the suggestion that this should take place earlier in the child’s life. This was at a time when there was increasing interest in the importance of early experience for later development. Psychologists and linguists were emphasising the role of early exposure to language in facilitating its development, (Gallaway and Richards 1994). The decision to implement a national newborn screening programme in the UK was accepted in 2000, following a review by the Health Technology Assessment Programme. Implementation began in 2001 and was completed for England by March 2006. With the development of the newborn screening programme, parents have been able to have their baby’s hearing screened shortly after birth and the vast majority of parents, over 98%, have taken up this opportunity. In the early stages the introduction of new-born screening was not without its critics. The screening procedure could lead to a reassuring result that the baby could hear, but it could also suggest that there was a need for further more complex assessment at a future date. 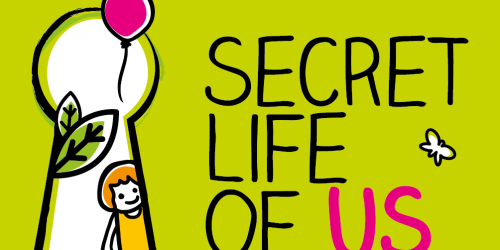 How did parents cope with this at a time just after birth when they, particularly the mother, could be feeling very vulnerable? What were the consequences of very early diagnosis, in the first months or even weeks of life – did it make it harder or easier for the parent-child bond to be established? An evaluation in 2004 recognised a significant effect on mothers’ well-being although it was seen as ‘below the cut-off from clinical concern’. It was assessed as no greater than the distress associated with the distraction test performed when the infant was seven months or older. The possibility of many very young infants with a hearing loss coming to the attention of Teachers of the Deaf, audiologists and other professional groups served to focus attention on the goals of early intervention, and an examination of what it should achieve. It was a challenge for those involved in the assessment of hearing loss and the provision and management of hearing aids with young infants. There was an impact on cochlear implant programmes as many more young infants were presented for assessment for cochlear implants and this raised questions about how early they should be provided, and what assessments were necessary for confidence that implantation was the right way forward. 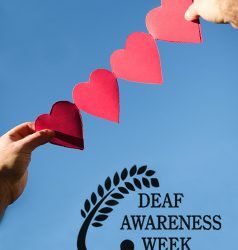 Importantly, early diagnosis of hearing loss raised issues for many Teachers of the Deaf who had been trained to work with pre-school and school age children but had limited professional experience of infants. One response to this was the RNID ‘deafness at birth’ website which was launched in January 2003 with a pump priming grant from the DfEE, funding later being taken over by the RNID. This had over 100 articles some of them specially commissioned and some illustrative case histories. It also provided links to other relevant sites. Many of the Universities involved in the training of Teachers of the Deaf also developed courses to meet the changing demands on teachers. It was also necessary to develop information for parents about the screening test itself, follow up procedures and what support parents could expect if their baby was diagnosed as deaf. This was carried out by the NDCS who developed a series of leaflets for parents of new-born babies. Other organisations also developed specialist publications to address these issues. Already it is possible to say, even after this short period of time, that the newborn screening programme has been successful in reaching the vast majority of children and providing a diagnosis very early in a child’s life. 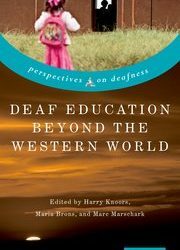 This has had wide reaching effects, not only for the children and their families, but for the profession and roles of Teachers of the Deaf and other related professionals and on the education of deaf children.